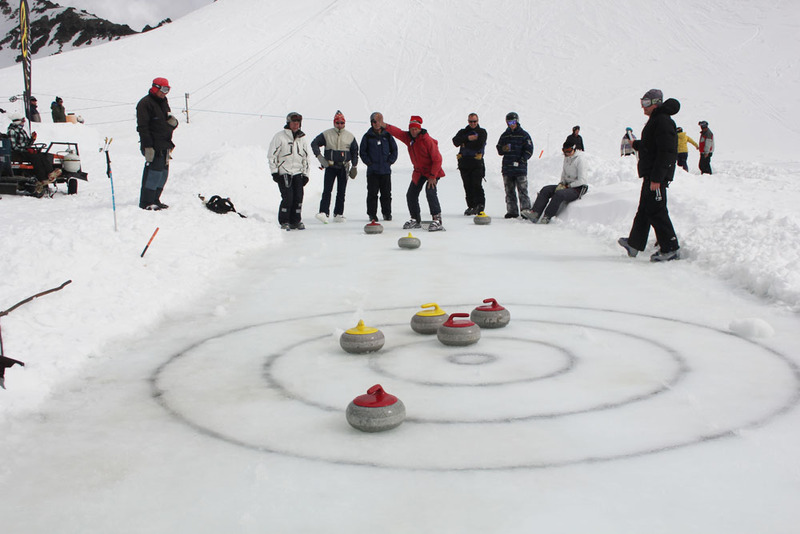 WWSC members curling on the Tarn at Mt Olympus, 1800m. Windwhistle Winter Sports Club (WWSC) was founded in 1932. Mt Olympus as the closer of two potential nearby ski-field sites and the location for the bottom hut was decided upon in the same year. A mere four years later the main rope tow was installed and in typical "can-do" club style, the entire rope was physically carried by hand to the field up the last stretch of the road from Monck's Flat by ten men and two women. (the property upon which Mt Olympus is located). a specialist ski area staff including a mountain manager, hut administrators, snow safety / ski patrol, chef and ski instructors. The WWSC welcomes all to Mt Olympus, whether seasoned club members or first time visitors. If you like it up here you can see what is required to become a member.